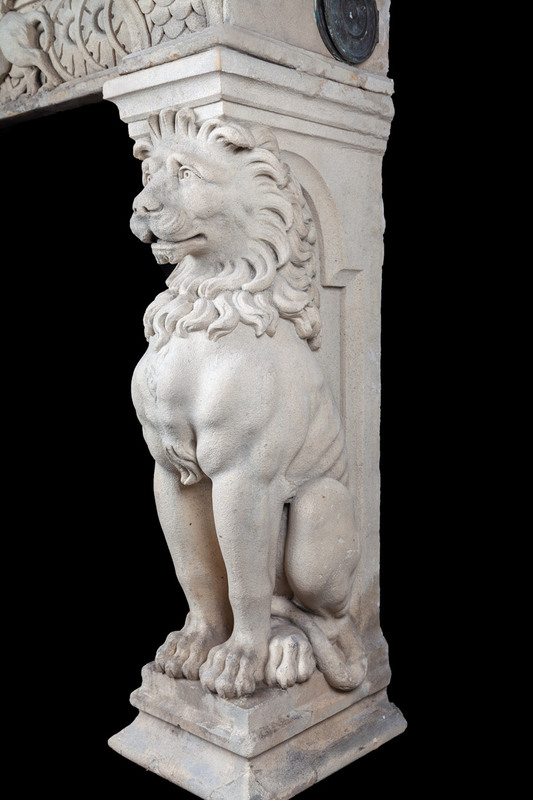 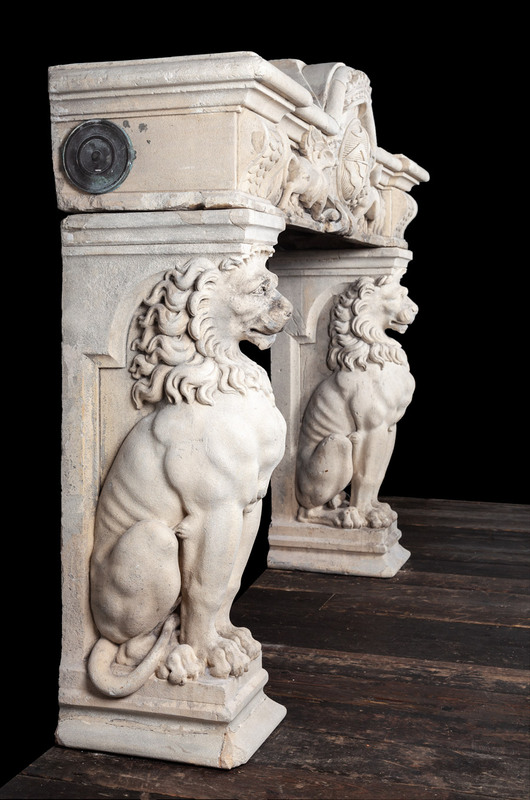 The jambs with well sculpted seated lions on raised plinths. 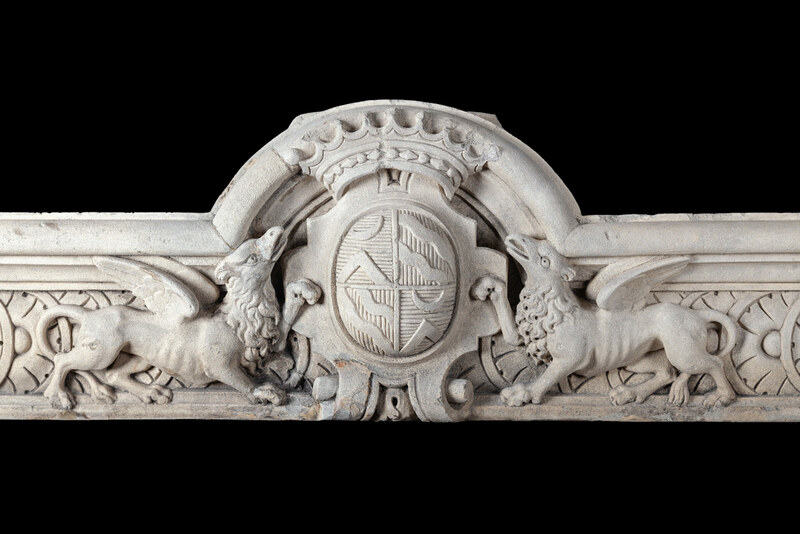 The frieze carved with rampant griffins at either side of a pedant cartouche. 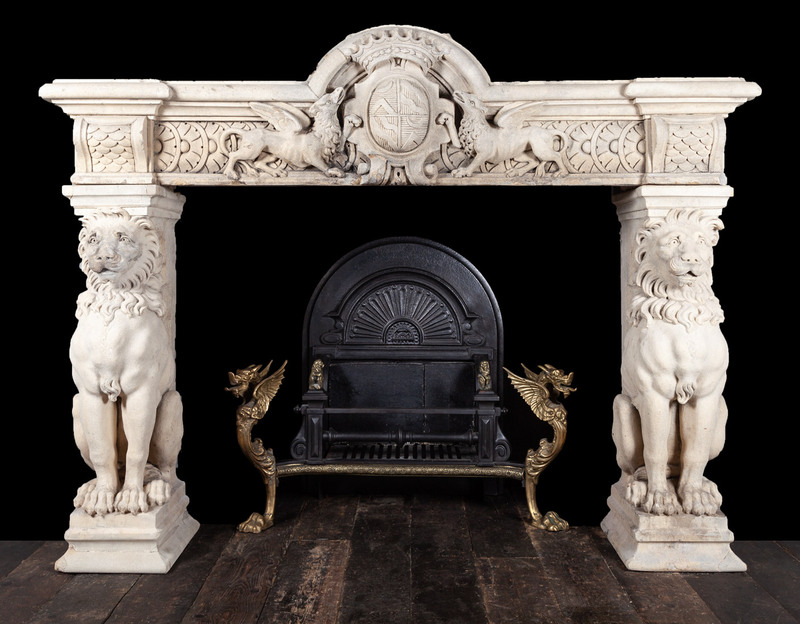 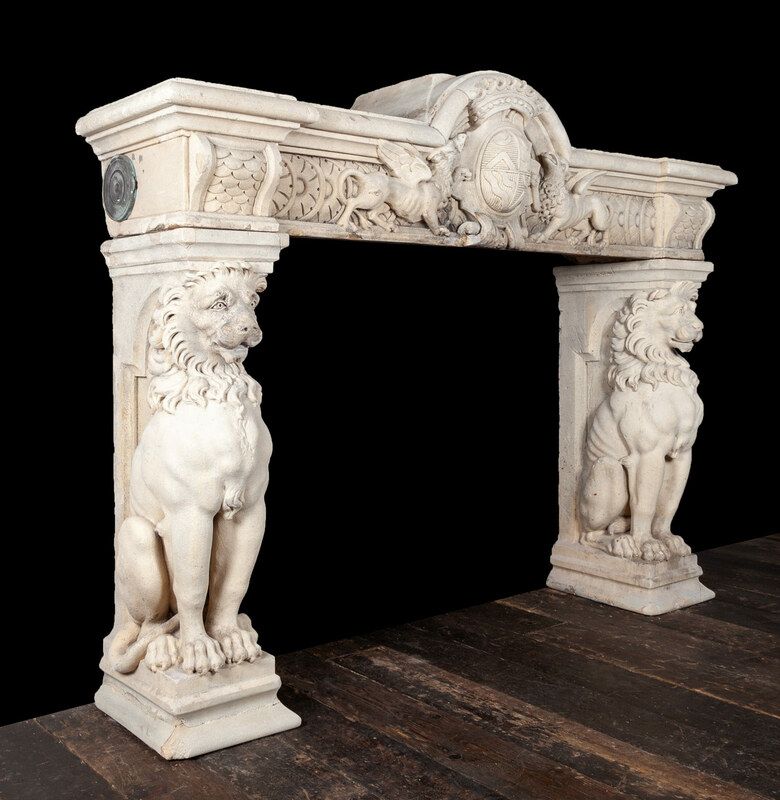 Carved during the 19th century in northern Italy’s Veneto region, using Vicenza stone, this dramatic and rare fireplace illustrates the high standard of sculpting talent in Italy during that period.